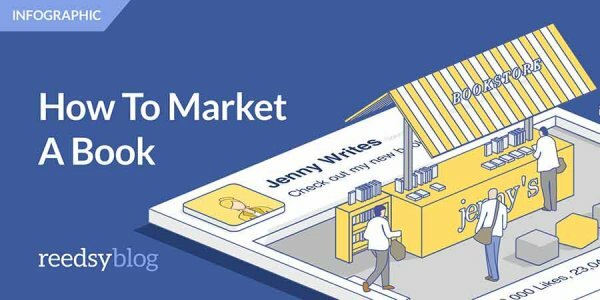 Whether your book has been published in the traditional fashion or you are a self-published author, there’s one thing you need to do in order to gain success (besides writing a great piece): get your book to sell. No matter how well-written, though-provoking, and moving your novel may be, if your books aren’t selling, you aren’t going to make it as an author (sorry to be so blunt). But have no fear! With the right marketing strategy, you can set yourself up for major success. Below, we share some proven strategies that will boost the sales of your book and affirm your status as an author. Establish a budget for promoting your book. Don’t forget to allow some wiggle room for unexpected expenses. Things come up and you want to make sure that you have the resources to cover them. Familiarize yourself with your audience. The better you know your target market, the better you’ll know how to reach them. Where do they hang out? What piques their interest? How do they prefer to shop? Find the answers to any pertinent questions that relate to your audience. Doing so will make it promoting your book easier and more effective. Devise an effective marketing strategy. Pinpoint your goals and establish steps that will allow you to reach those goals. Get creative! Use the details of your book to make marketing easier. For example, you can use the occupation or hobbies of your characters and market toward people who have common careers or pastimes. Create an author website. Make sure you choose a clever domain name that relates to your book; the title, the theme, the plot, etc. Make sure your website is well designed and easy to navigate. It will be more engaging for your audience and make it easier for them to purchase copies of your book. Link a blog to your site! A blog is a great way to share your story – the ins and outs of the creation process, what inspired you, the trials and tribulations you experienced. A blog will make you more relatable as an author and will excite and intrigue your audience. Don’t forget to pen a compelling author biography. Your biography will let your audience get to know who you are as an author and will establish your authority, compelling your target market to purchase your novel. Take advantage of social media! Social sites offer an incredible opportunity to connect with your audience and really engage them. Share links to your website and blog on your social media profiles to make it easier for your followers to buy your book. Come right out and ask your readers if they would be willing to write reviews of your book and post them on your website. Readers love to share their opinions and book buyers rely on reviews to influence their buying decisions. Host a contest or a giveaway. You’ll create a major buzz and sell more copies of your book in the process.